So, sought after! A spacious quality 247m² house with lovely views, set on a flat section. A "country feel" lifestyle on offer. 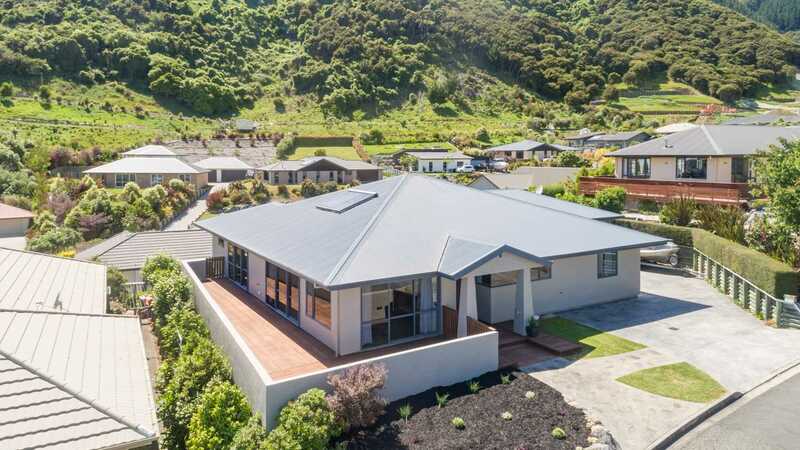 Located in a quiet cul-de-sac in Springlea Heights, a mere seven minutes drive to Nelson City. Featuring four double bedrooms, master with ensuite & W.I.W.Robe. Chef's kitchen - double oven, gas cooktop, generous storage & breakfast bar. Open plan dining to lounge with ranchsliders to private sheltered deck which is North facing & runs the full length of the house. Zoned underfloor heating throughout. Well appointed bathrooms. Alarm system. Double garage with drive thru, to private rare lawn area. Easycare grounds, fully fenced, mild microclimate location, close to local shops, preschool & popular Clifton Terrace School. Sea and rural views. Properties on flat sections, in such a prime location are a rear find. Chattels remaining: Blinds, Fixed floor coverings, Light fittings, Drapes, Rangehood, Separate Cooktop, Wall Oven, Waste Disposal, Bathroom Heater, Heated Towel Rail x2, Heatpump, Smoke Alarms x4, Security System, Cellphone Monitored Fire Alarm, Auto Garage Door Remotes x3.